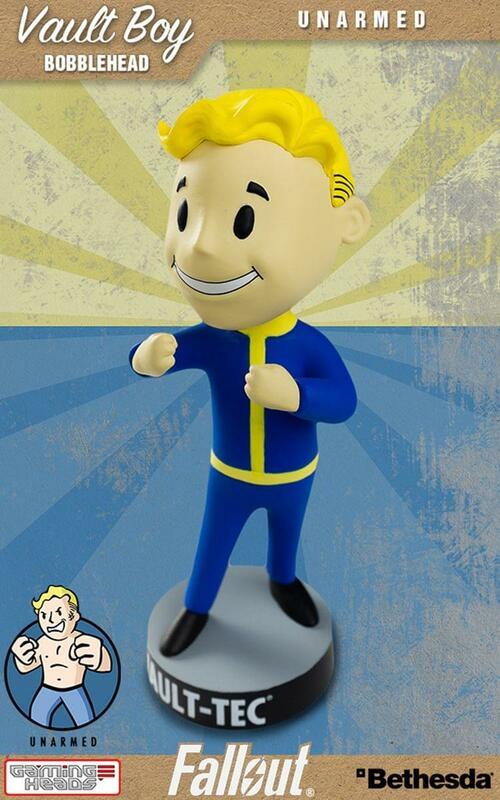 Gaming Heads brings fans their second series of collectible Vault-Tec Vault Boy Bobbleheads from Fallout 3! Series Two delivers seven new Fallout 3 Skills: Barter, Charisma, Explosives, Intelligence, Sneak, Speech and Unarmed. This high-quality PVC bobble head features Unarmed. 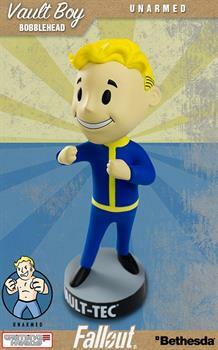 Are you nodding yes to adding this fun head-bobbing figure to your Fallout collection? Get yours today!